"The CD closes with A Glimpse of Silence, an eight-minute opus that explores the concept of silence through such devices as a music box and a funeral march. The music box doesn’t sound like any that you’ve ever heard, but the effect is quite stunning, given its piquant and ethereal harmonies. Haskell Small’s music is well worth exploring, and he gives it what sound to my ears to be superlative performances. Heartily recommended"
"You really like to get these kinds of discs in the mail. A composer playing his own music on a small label always has appeal, this project was an entirely worthy one." "The Rothko Room - Journeys in Silence"
"Small has a particular fascination with silence as interpreted through music: he is a fine and wide-ranging pianist..."
"My own compositional tendencies tend toward quietude," he notes. "That fits perfectly with the intentions of Rothko." "More musicians should do what Haskell Small does: he plays what he likes, and brings it to life, sometimes quietly, sometimes somewhat more boisterously, putting his heart and soul into it." " Haskell Small Plays a Shattering, Haunting Program on the Upper West"
"...his lovely touch made the works sing." 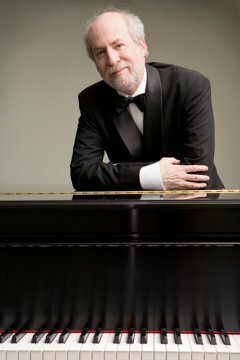 Haskell Small on KDFC's "State of the Arts"
"It takes courage for a pianist to program a concert of works by a single composer. Double—maybe triple—that courage when the composer is Federico Mompou, a fascinating if obscure Spaniard whose austere, inward-looking works offer little in the way of crowd-pleasing virtuosity..."
Haskell Small is the sort of pianist that can take the music of Scarlatti or Mussorgsky, music that many pianists smother in stylistic kindness, and get right to its essence. He does this with fine technique backed with surprising strength, a sense of dramatic pacing, and a sure feeling for the integrity of the music.